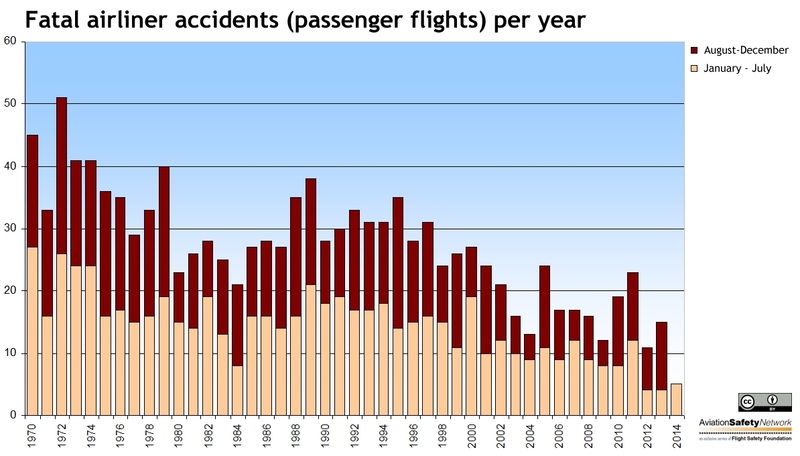 How does 2014 air safety figures compare to previous years? The recent high-profile accidents involving in Ukraine (MH17), Taiwan (TransAsia flight GE222) and Mali (Air Algérie flight AH5017) raised some concerns in international media about air safety. So how does 2014 really compare to previous years? The ASN safety barometer shows there have been 12 fatal airliner accidents so far, which still is well below the ten year average of 17. That is, for the previous ten years, there had been 17 accidents during the first seven months of each year. Since these twelve accidents also include cargo and training flights, let’s focus on passenger flights. Just two years, 2012 and 2013, had a lower number of accidents by the end of July. 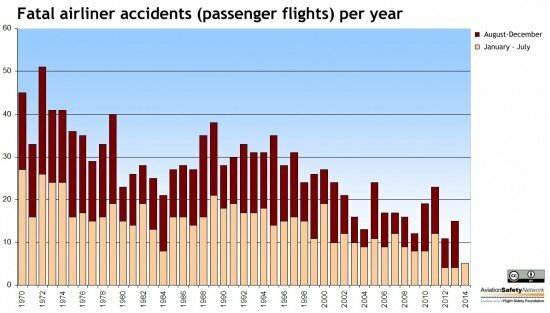 Zooming in on all individual months, January 2014 was the safest month in aviation history, along with several other months without any fatal passenger flight accidents. 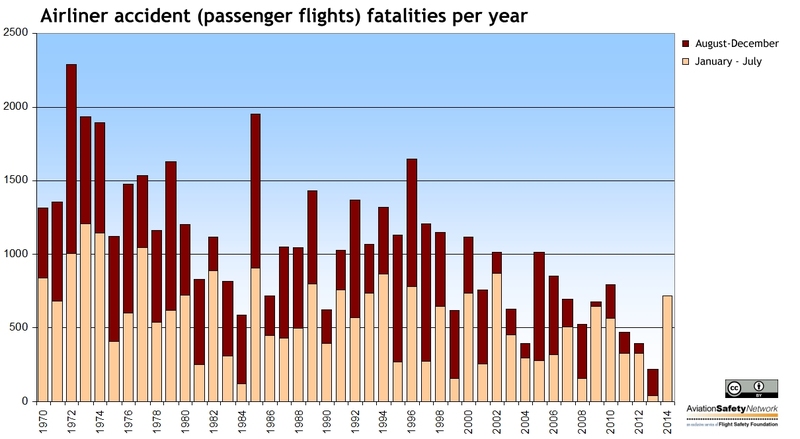 Statistics are based on data from the ASN Database, covering worldwide fatal accidents involving civil aircraft with a minimum capacity of 14 passengers.